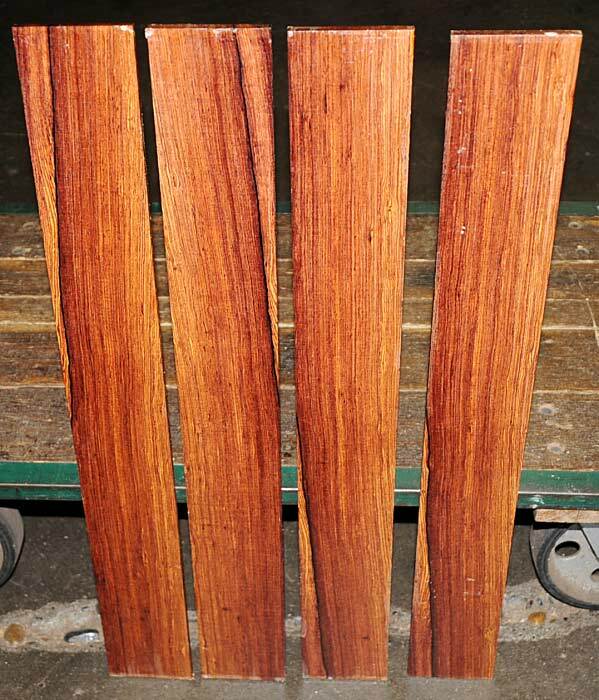 Mexican Cocobolo is the most highly desired, having the most vibrant color and grain. 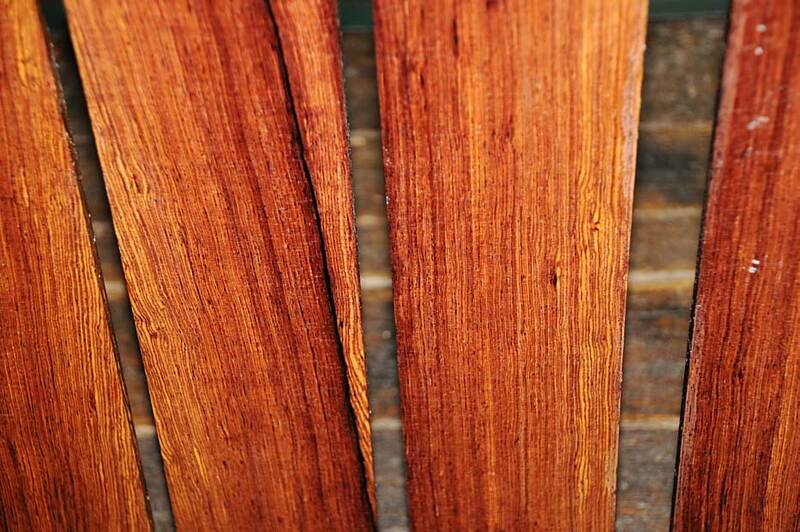 The color of Mexican Cocobolo is red to reddish-orange with bold, black lines. Some logs have cluster burls along their length and these produce some extraordinary figuring, especially those boards cut towards the outside of the log. The wood is very oily which makes it difficult to glue but on the plus side the oiliness makes it easy to produce a fantastic polish on finished pieces. 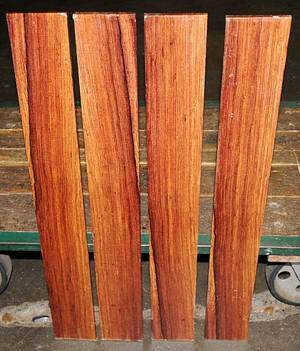 Wear a respirator mask when working Cocobolo as the dust can produce asthma-like reactions. 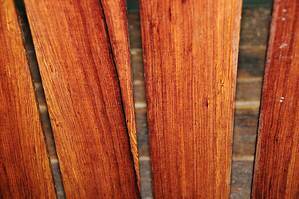 Cocobolo is a small to medium sized tree and is found mainly in Mexico, Costa Rica, Nicaragua, and Panama. A 5/16-3/8 x 3 7/8 x 30 3/8"
C 3/8 x 3 7/8 x 30 3/8"
D 3/8 x 3 7/8 x 30 3/8"